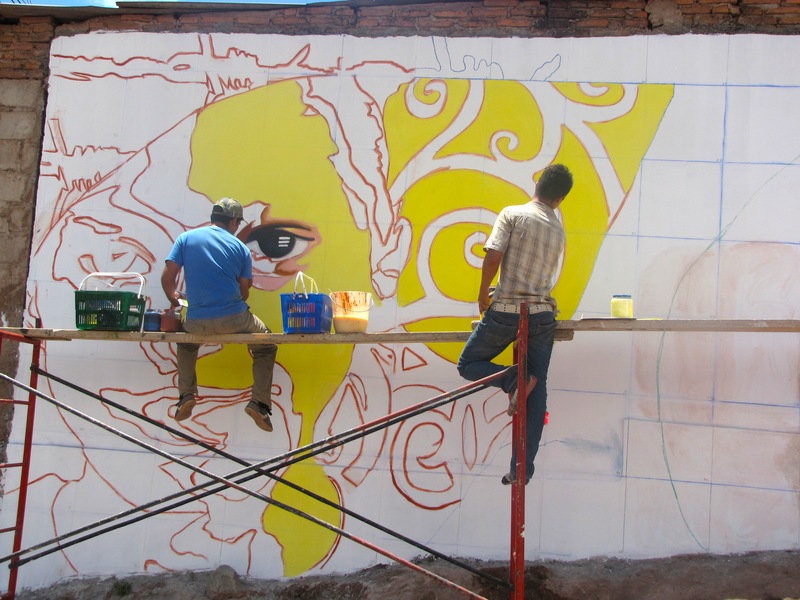 This blog post documents the second part of my Community Engagement through the Mural Arts exchange with Meridian and the Bureau of Educational and Cultural Affairs. 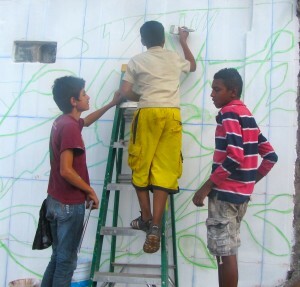 After Easter I returned to Tegucigalpa, Honduras, to direct the next mural in the Colonia Estados Unidos. 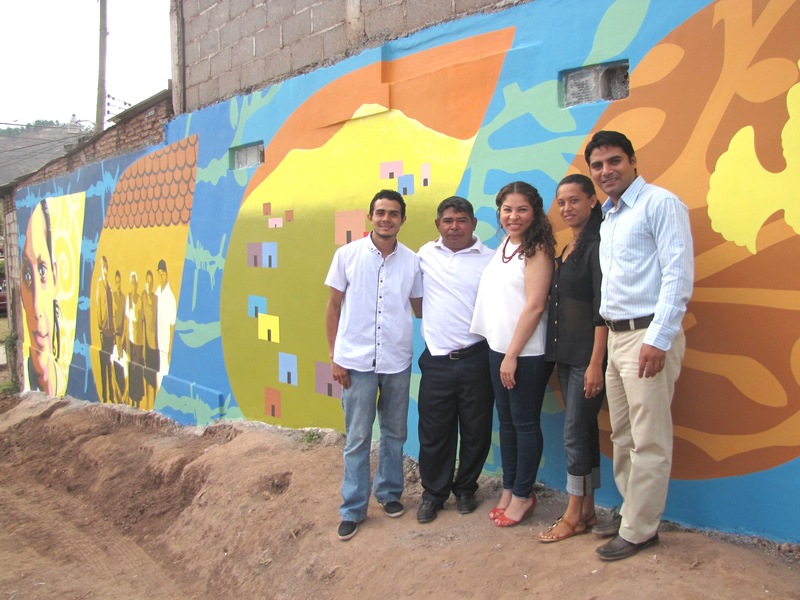 I was reunited with my team of assistants who I trained on mural painting techniques and community engagement strategies. This mural put what they learned into practice. 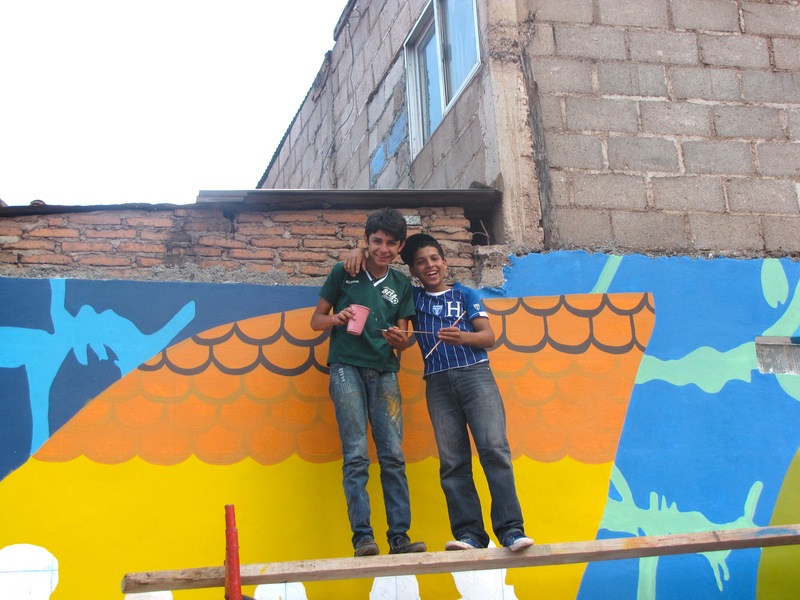 The community was very excited to get started on the mural. 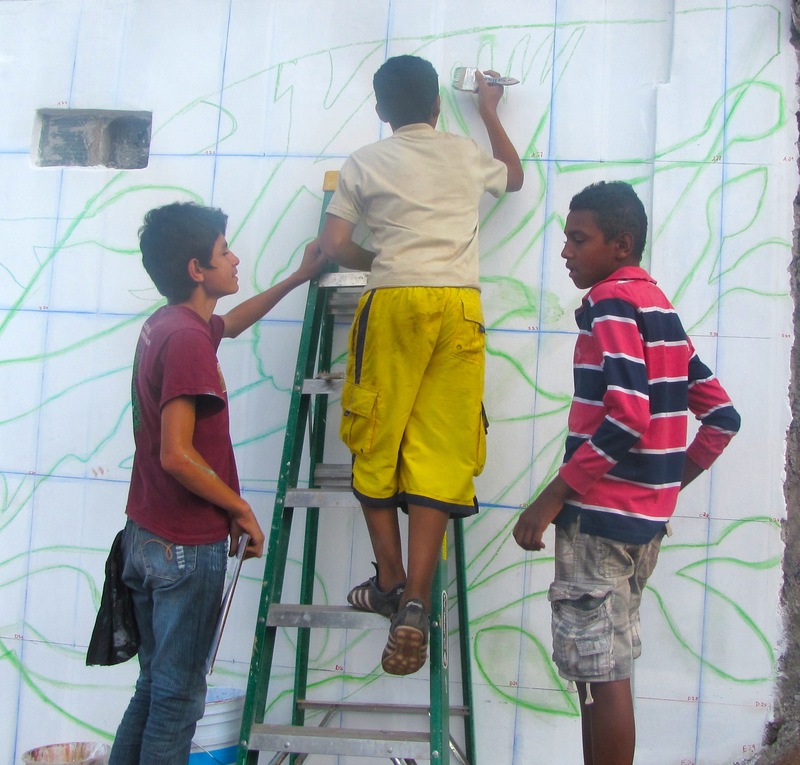 They met at the Centro Alcanze where they discussed what they wanted to see in the mural. 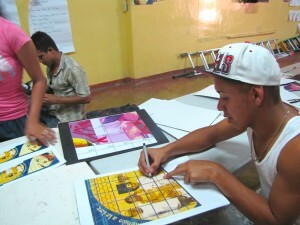 Local artist Leonel Vargas offered extra support to the assistants. 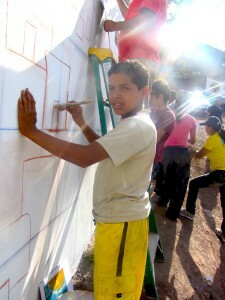 During several sessions, the participants created drawings and writings that shared their thoughts that then informed the design for the mural. 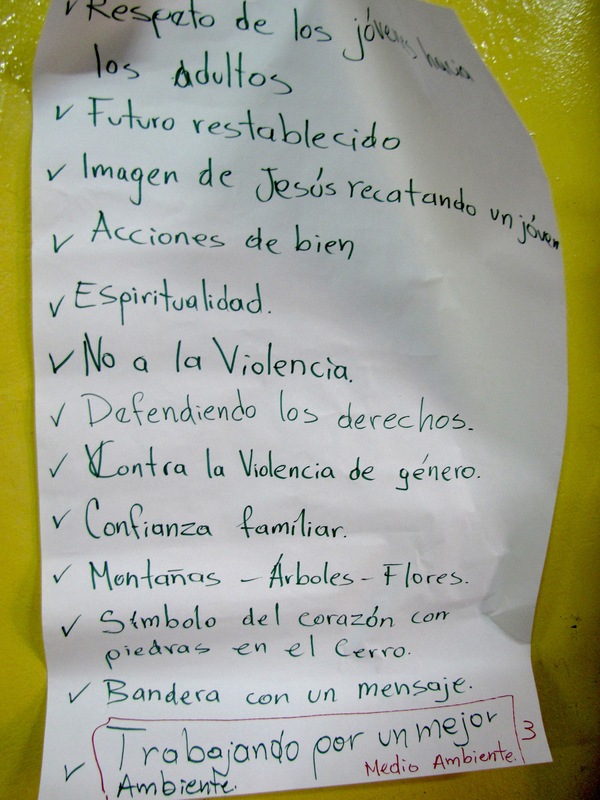 Some of the ideas that came up during the workshop, including spirituality, non-violence, mountains, and youth respecting elders. 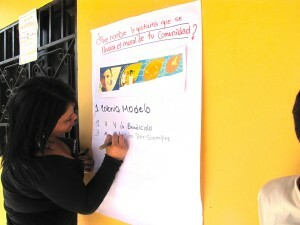 Participants sketch their ideas during the workshop. The participants generated great ideas for the mural. All the participants were very excited to take part in the process. The mural, entitled “Unidos en la Paz,” shows in the background a wired fence that then transforms into branches with leaves. 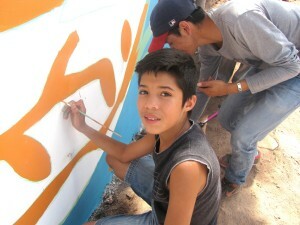 It speaks directly to the need of the community to transition from a place of danger to a place of security and freedom. 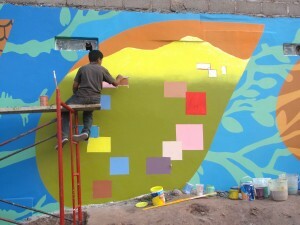 There are vignettes in the mural in the shape of seeds. 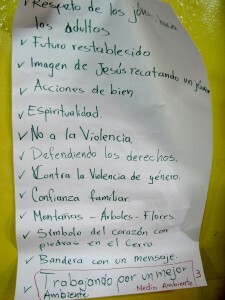 Each seed of hope represents positive attributes that the participants identified about their community – hope within the young generation, importance of family unity and respect among the elders and youth, honoring nature as part of their community identity with the presence of a specific mountain (Cerro) that stands out in their landscape, and the white dove which represents peace and freedom. 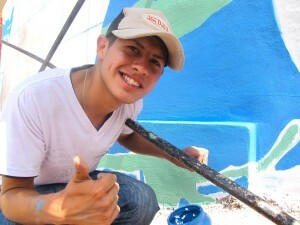 Over 25 volunteers came to paint on the wall. They learned about color theory, how to draw the images onto the wall, and how to work together as a team. 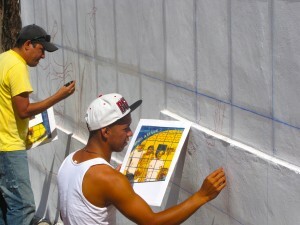 One of the participants transfers the drawing to the gridded wall. Participants brainstormed a title for the mural. 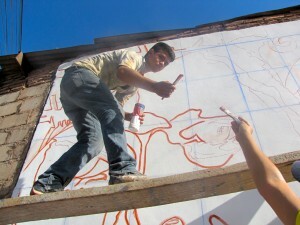 Participants transfer the design onto the mural site. 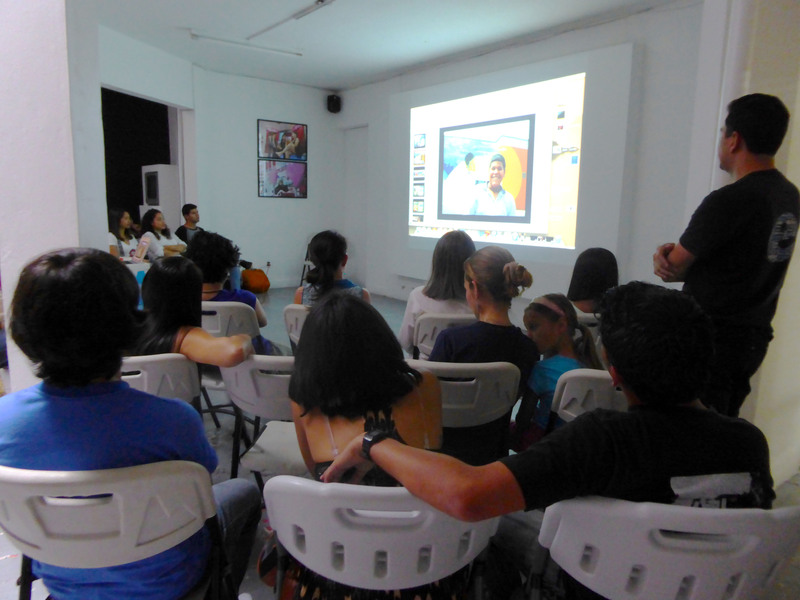 As the assistants and community members worked on the wall, I presented various talks at different sites in Tegucigalpa to over 60 young art students attending the Escuela Nacional de Bellas Artes (ENBA) and young artists at Mujeres en Las Artes. 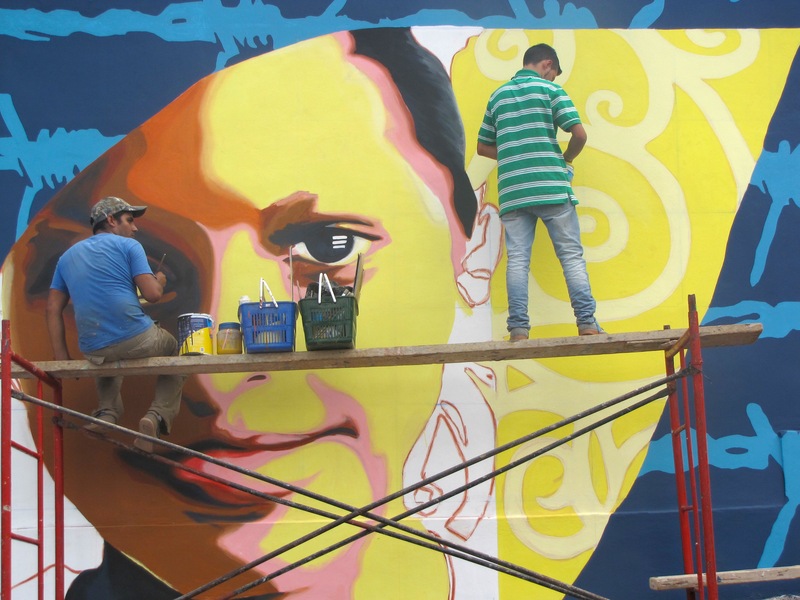 In both talks, I shared my artistic process and its connection to shedding light to community voices to inspire social change. 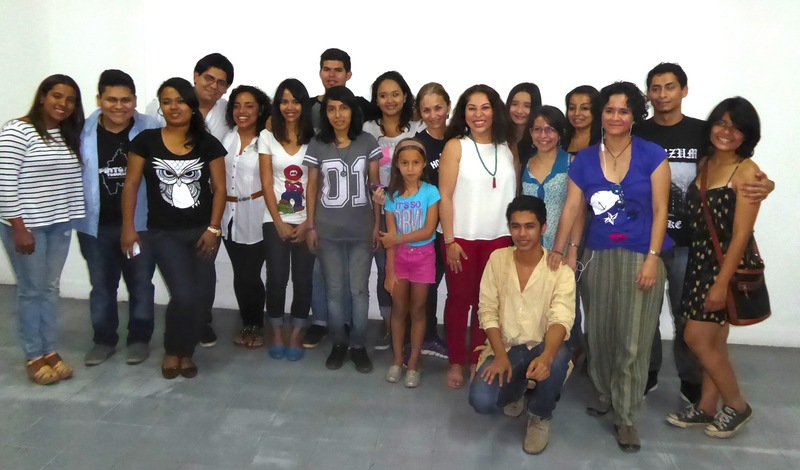 I also presented my documentary to a total of over 45 youth and educators at Casa Alianza and Proyecto Piloto 7-14. 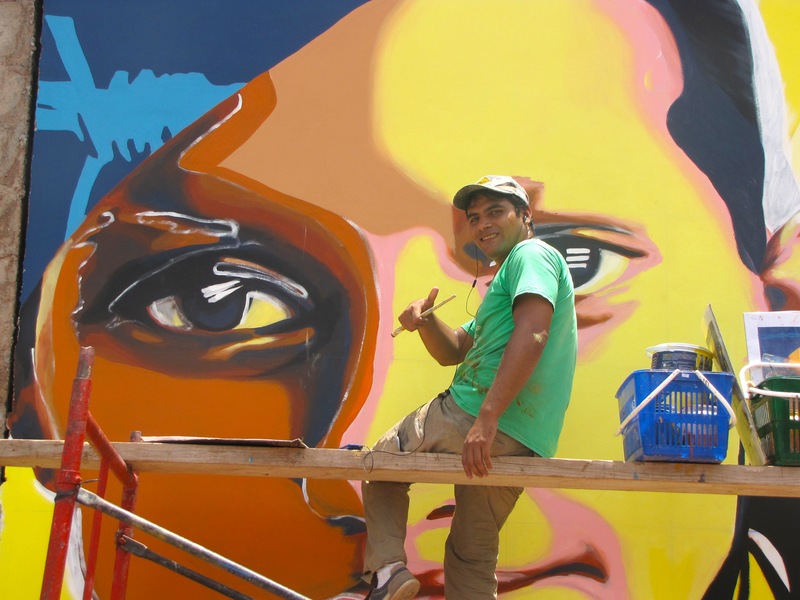 My documentary Aquí y Allá: Crossing Borders demonstrates how my mural project used art to advocate for social change and immigration reform. It also presents three compelling interviews with immigrant students and how they have been impacted by immigration. 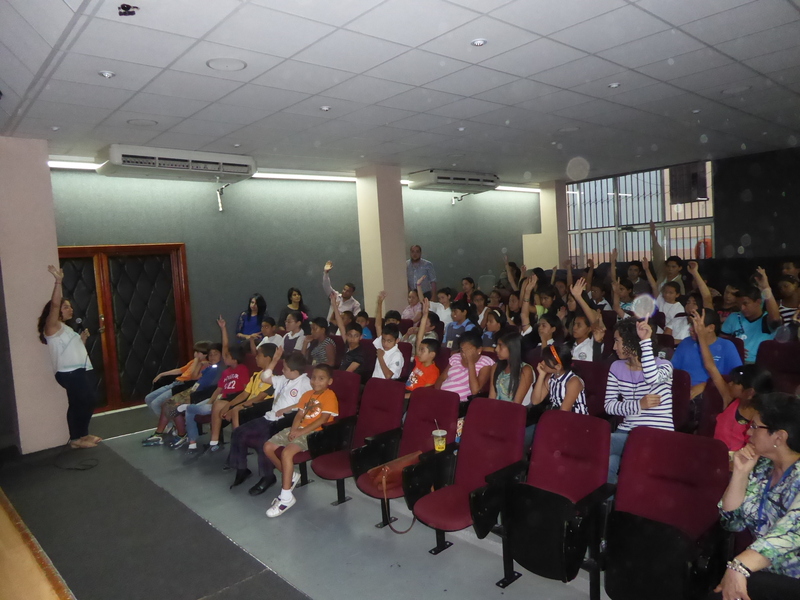 Both presentations were well received and provided an opportunity to speak to the youth about their thoughts on immigration. 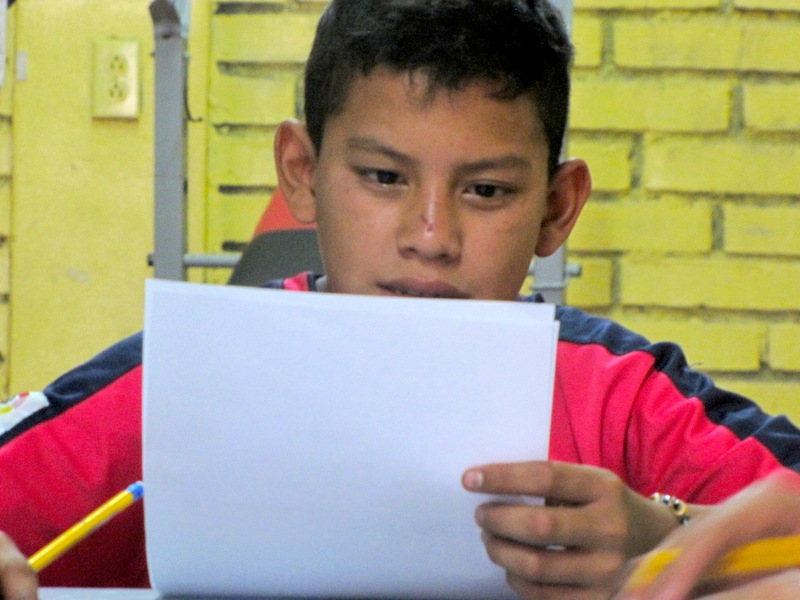 Ninety percent of the audience has family members that have immigrated to the United States. 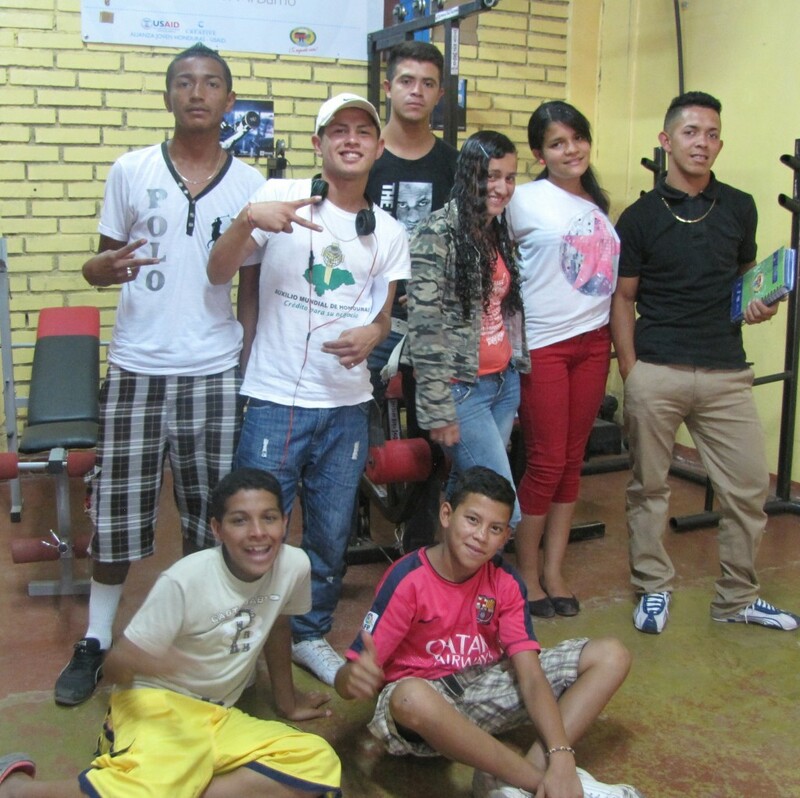 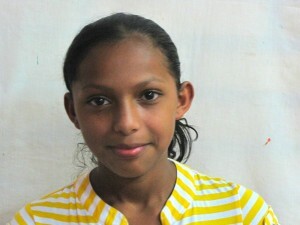 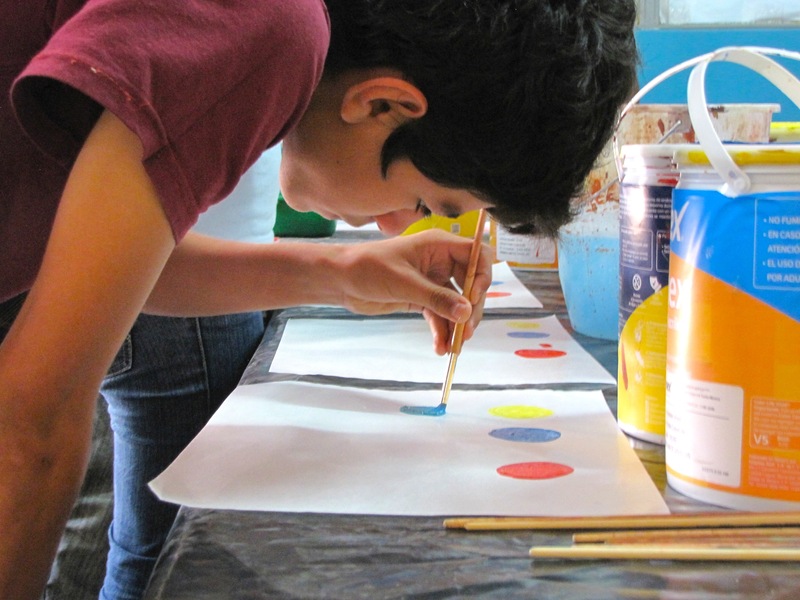 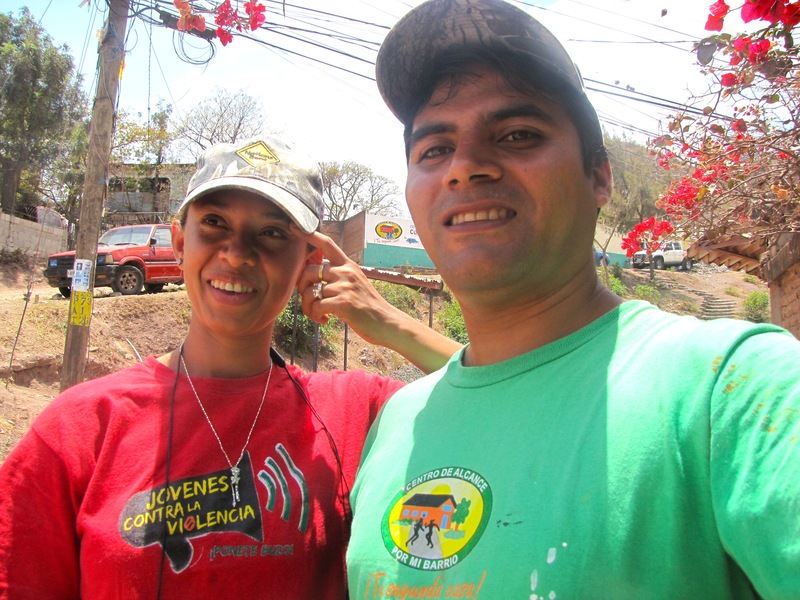 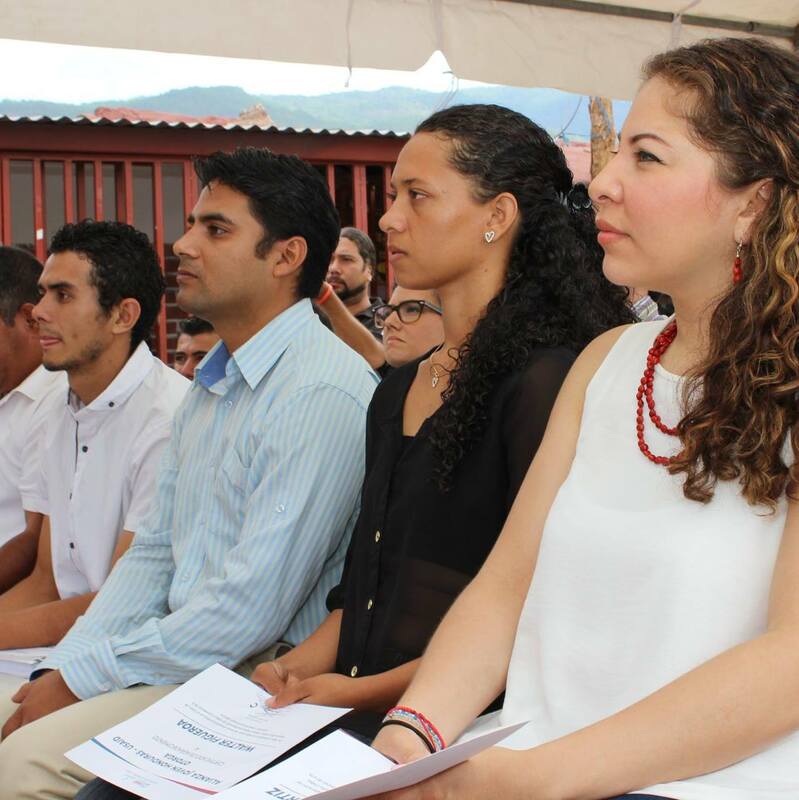 Back at the Colonia Estados Unidos, all of the participants were committed and painted diligently for 3.5 days. 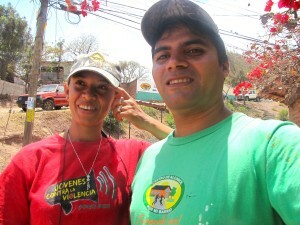 Every day, neighbors passed by and stopped to see our progress. Walter works on the portrait. 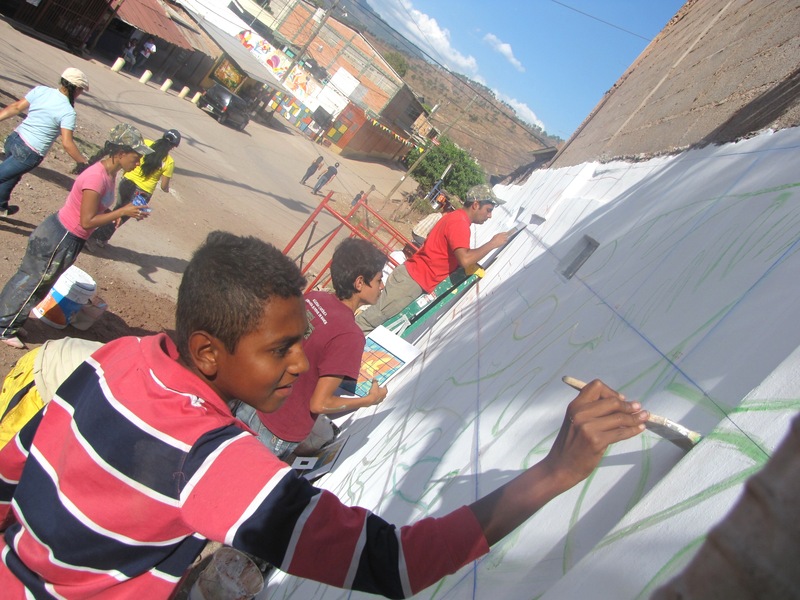 The mural is situated in a crucial point in the community. 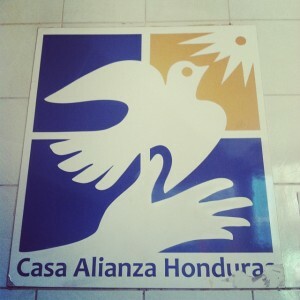 It is where many other Colonias meet and at times serves as a space of tension, insecurity, and conflict. 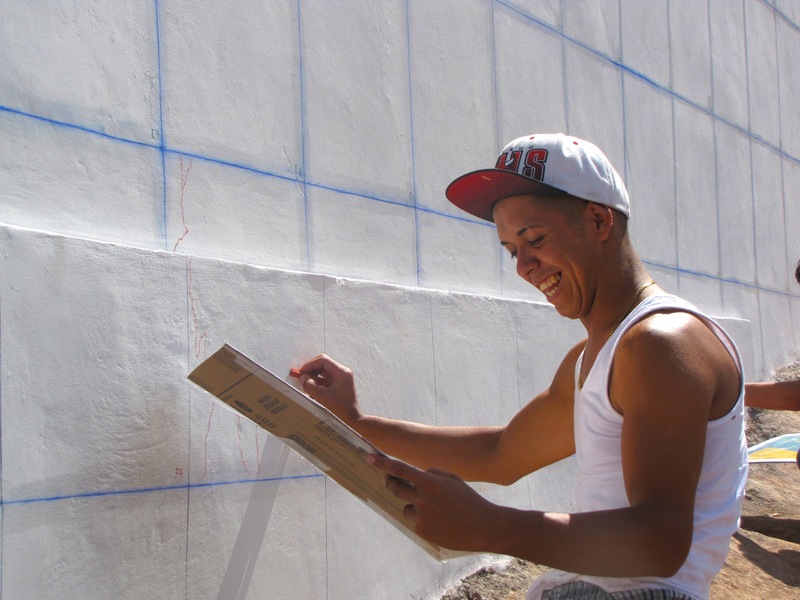 The day of the dedication, I was so proud to see that the local artists/ assistants that I trained put what they learned into practice. To see that this movement will be sustained by their continued work as artists in communities is fulfilling. 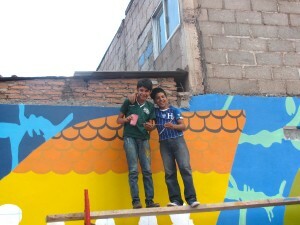 A great moment was seeing the smiles from the community members that were so proud of the mural. 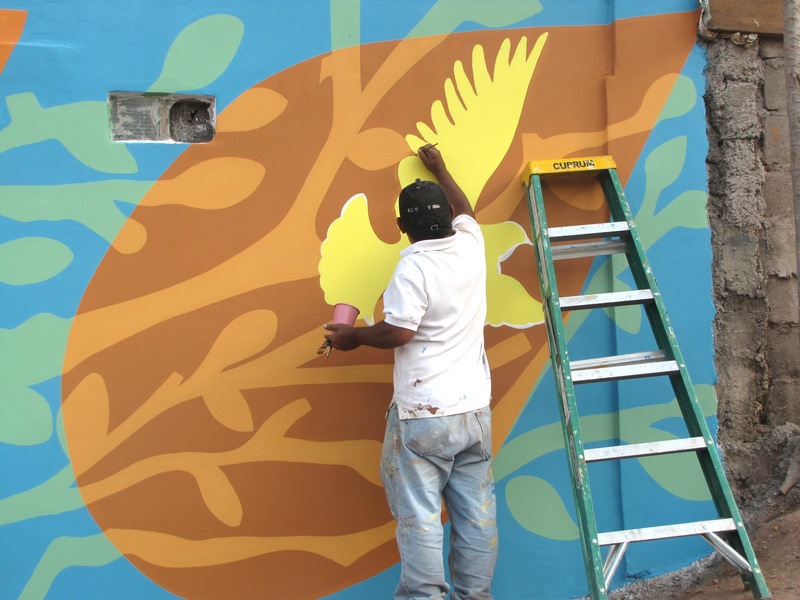 The mural reminds the viewer that the community members are the seeds of hope, that this is the first step to sparking change in the community and in their lives. 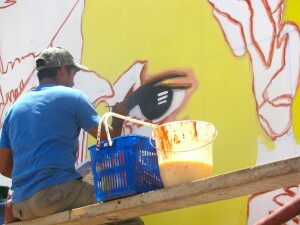 POST TAGS: Art, Arts, Community Engagement, Cultural Diplomacy, Volunteerism, Youth, Youth Leadership.